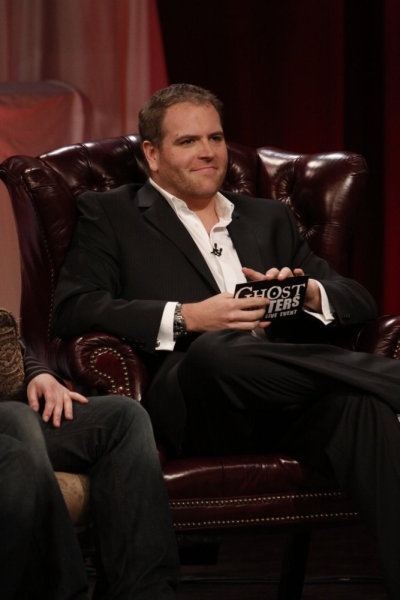 Check out the link below for my brand-new interview with Ghost Hunters International’s Barry FitzGerald. 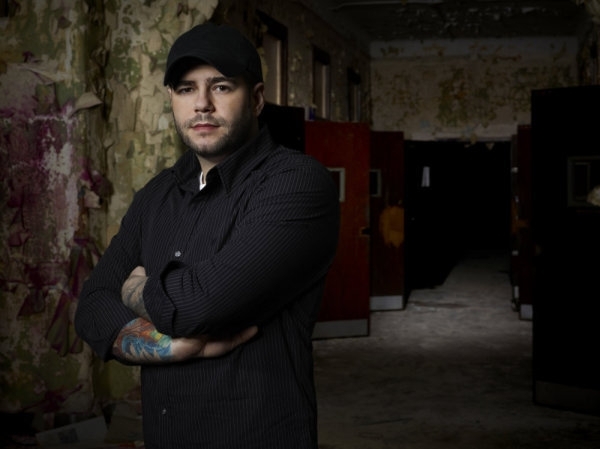 MARKING a major expansion of its reality programming, the Syfy Channel has announced it is greenlighting three new reality series, Marcel’s Quantum Kitchen, Paranormal Witness and Face Off. 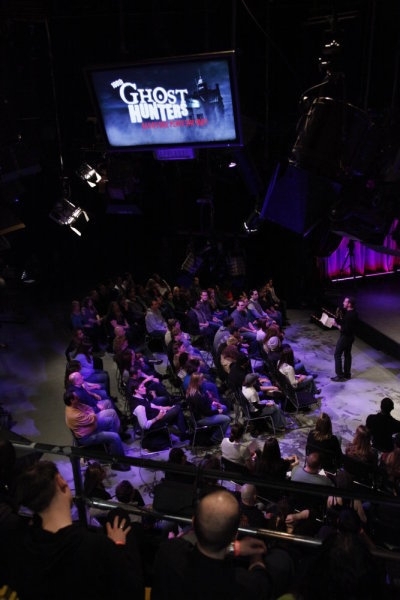 This broad-based slate builds upon the success of the channel’s unscripted programming such as the Ghost Hunters franchise and Destination Truth on Wednesday nights, along with Syfy’s new Thursday reality block, which premieres July 15th. 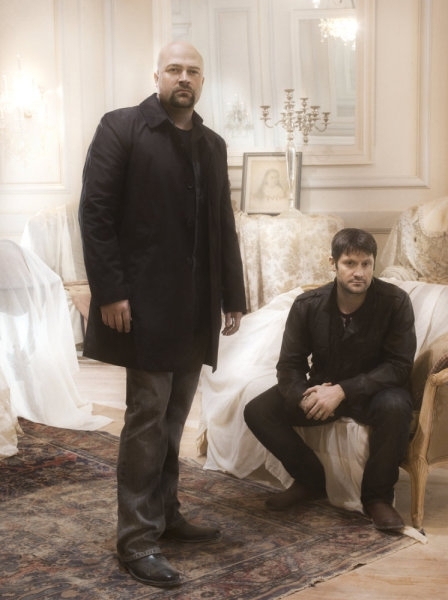 Ghost Hunters, the #1 paranormal investigative series on television, and Destination Truth – whose recently completed third season established series viewing records – rank among the most popular basic cable programs during Wednesday prime. On Thursday, July 15th, Syfy launches the new reality block of Mary Knows Best at 9:00 p.m. EST/PST followed by Fact or Faked: Paranormal Files at 10:00 p.m. EST/PST. MARCEL’S QUANTUM KITCHEN – Utilizing the science of cooking, Marcel’s Quantum Kitchen stars one of America’s most notorious chefs, molecular gastronomist Marcel Vigneron (Top Chef). In each episode, Marcel and his new catering and event company will be hired by a demanding client to produce an extraordinary celebration or event. Based on the client’s requests Marcel will dream up a theme and cuisine for the event, which range from a fairytale graduation party and a Goth-rock fashion show to a birthday dinner held on a platform suspended in mid-air. He and his team of party planners and chefs will tap the depths of their imagination and culinary talents to create everything from the immersive decor to a delicious menu that emphasizes Marcel’s brand of avant-garde cooking. Marcel’s Quantum Kitchen is a production of Intuitive Entertainment, and executive produced by Kevin Dill and Mechelle Collins. 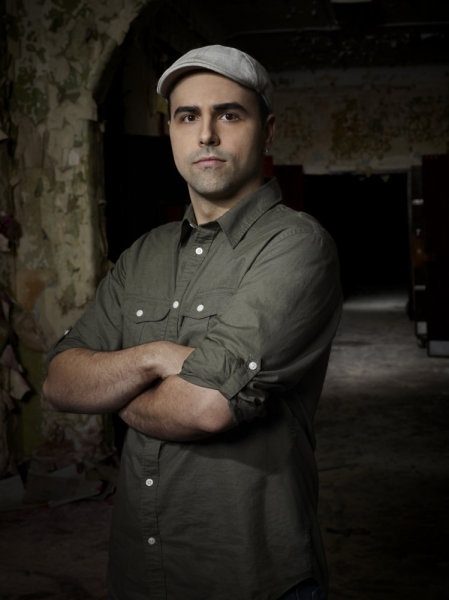 PARANORMAL WITNESS – From Dimitri Doganis and Bart Layton, the acclaimed creative team behind Locked Up Abroad, this tense, cinematic, high-octane drama-documentary series brings to life the stories of people who have lived through paranormal experiences that defy explanation; from poltergeist to alien encounters. Using the mixture of intimate, firsthand testimony and gritty realistic drama that the producers are known for, Paranormal Witness will take the audience into a world turned upside-down by extraordinary and terrifying events. 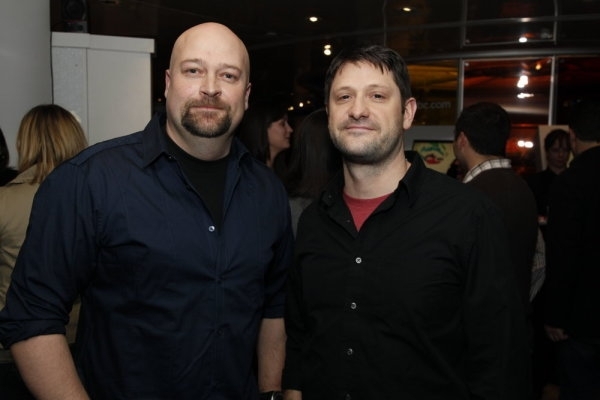 The series is a production of Raw TV, and executive produced by Dimitri Doganis and Bart Layton. FACE OFF – This is a competition/elimination series exploring the world of special effects make-up artists and the unlimited imagination which allows them to create amazing works of living art. Not only will the show incorporate effects make-up, it will include a wide range of skill sets including prosthetics, 3-D design, animatronics, sculpting, eye enhancers, puppeteering, casting and molding. 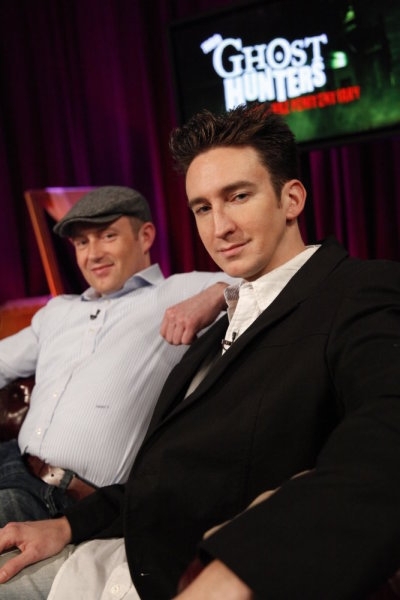 Each episode involves incredible reveals of the competitors’ finished work, and the drama of one contestant being sent home by the panel of expert and celebrity judges. It all culminates in one winner and one grand prize that will launch a career! 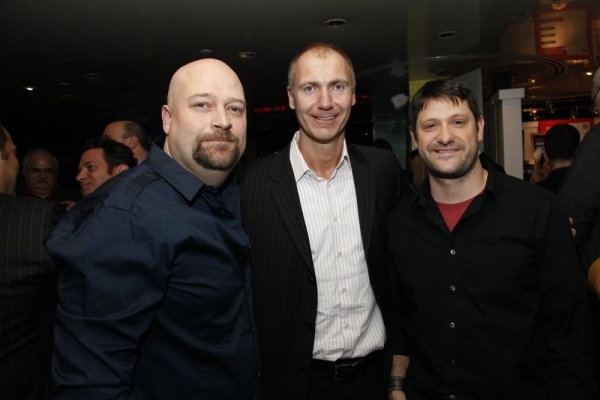 Face Off is a production of Mission Control Media, and executive produced by Michael Agbabian and Dwight Smith. 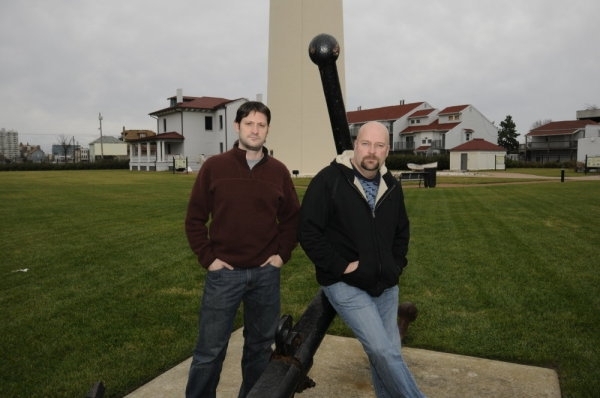 THIS week on Ghost Hunters, Grant, Jason and the rest of the TAPS team travel to beautiful Cape Cod, Massachusetts to investigate the haunted history of the Orleans Inn. The inn’s sordid past reaches back to the infamous goings-on inside its walls during its heyday in the Roaring 20’s, and the current owners hope to rid the inn of the reported ghosts of years past. For extra help, the TAPS team calls on Britt Griffith and Ghost Hunters International‘s Joe Chin to explore the plethora of encounters reported. Claims of solicitation, suicide and murder continue to haunt owners and guests alike. 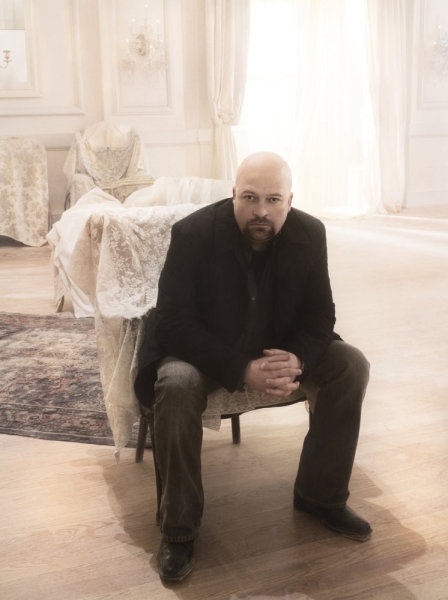 Inn of the Dead airs Wednesday, April 21st @ 9:00 p.m. EST/PST on The Syfy Channel. As noted above, all photos by Sheryl Nields and copyright of the Syfy Channel, so please no unauthorized copying or duplicating of any kind. Thanks! THE Destination Truth team makes its way to the beautiful city of Petra, Jordan where they explore sightings of what locals call Djnns – ghosts that are believed to possess humans and live in the dark recesses of ancient burial chambers. 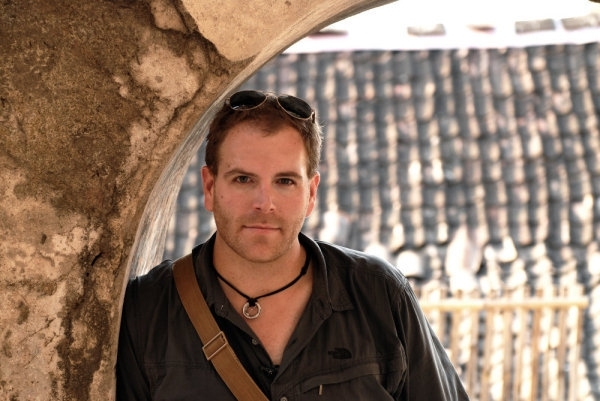 Josh Gates and the crew attempt to make sense of all the paranormal encounters in the Treasury Tomb that has become a symbol of the mysterious, ancient city. 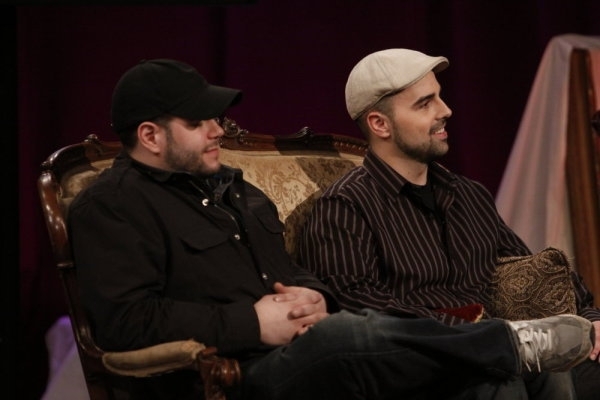 Ghost Hunters‘ Jason Hawes and Grant Wilson are enlisted to help analyze the results, some of the clearest audio evidence the team has captured yet. Next, the team heads to Bishopville, South Carolina to investigate a complaint from townspeople that a monster – known as the Lizard Man – is on the loose, terrorizing the town’s residents and their vehicles. 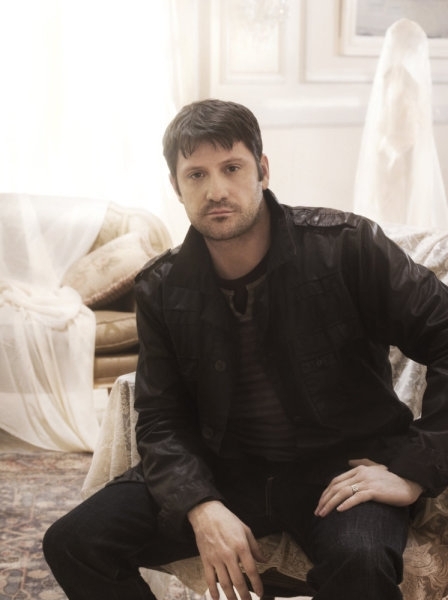 Ghosts of Petra/Lizard Man airs Wednesday, April 14th @ 10:00 p.m. EST/PST on The Syfy Channel. As noted above, photo is courtesy of and copyright of the Syfy Channel, so please n unauthorized copying or duplicating of any kind. Thanks! THE TAPS team heads north to Plymouth County, Massachusetts to investigate a private home where, for over 30 years, the family has had multiple paranormal encounters. Claims of physical violence have terrorized inhabitants, with punching and pushing a familiar occurrence. The team feverishly searches for clues that can help them detect this ghastly stalking. Next, Jason, Grant and company head back to New Jersey to take a closer look at a bar and grill that has its own fair share of encounters. A tavern rich in maligned history the spirit of a murdered patron has an encounter for the TAPS record books. Other reports of levitating wine bottles and lingering shadows leaves the proprietors turning to TAPS for answers. 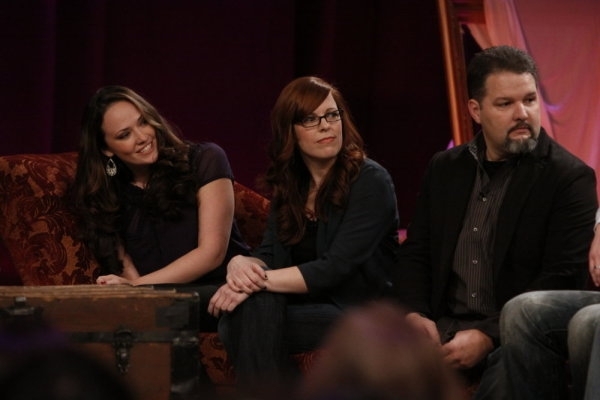 Ghosts in the Attic airs Wednesday, April 14th @ 9:00 p.m. EST/PST on The Syfy Channel. As noted above, photo by Sheryl Nields and copyright of The Syfy Channel, so please no unauthorized copying or duplicating of any kind. Thanks! 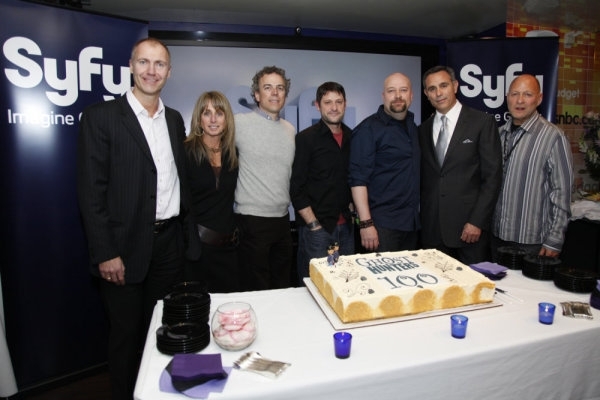 AS previously reported on SciFiAndTvTalk, the original Ghost Hunters series celebrated its 100th episode on March 3rd with a two-hour live event in New York that aired in conjunction with an investigation at Alcatraz in San Francisco. 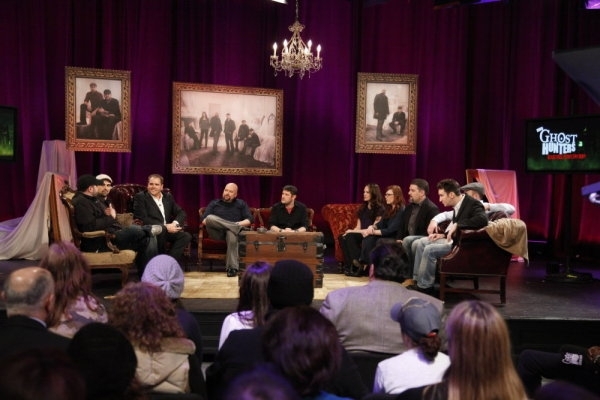 Below are some photos from the New York broadcast. Enjoy! As noted above, all photos by Heidi Gutman and copyright of the Syfy Channel, so please no unauthorized copying or duplicating of any kind. Thanks!